You may have heard that pay-per-click is a waste of your marketing budget, too expensive for the minimal ROI it provides. Since we've seen successful campaigns through our own work, we decided to take a deeper look into why this is being said and one of the major reasons it performs poorly for other companies. 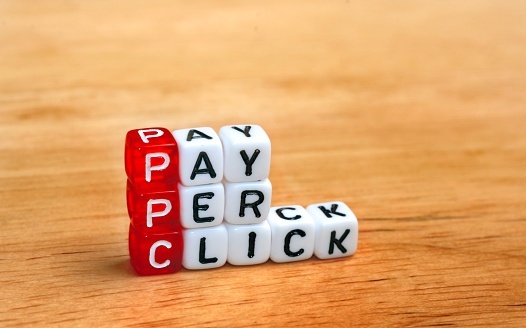 Various articles - such as those posted on Forbes.com and eBay - have criticized PPC, claiming it's the tool itself that lacks effectiveness. It is true that this service can be very expensive. What is more, the more competitive your industry, the more pricey it becomes. However, we at ArcStone, alongside many other industry experts - Search Engine Watch and Search Engine Land- would like to point out how to properly invest in this tool. The commonality we found in companies that struggle was the lack of adequate time, expertise, and attention given to monitoring the service. The main solution concluded in the above articles and from our own experience, is to hire a third-party partner for its management. At first thought, this would seem more expensive, but ultimately it can save you money. *For a briefing on the basics before digging in, read our blog briefing the eBook "Taking the Plunge into Google AdWords." 1. Unaware of the details and losing money because of it! As with most any craft, there is a difference between doing it yourself (understanding the basics just enough to manage) versus hiring a master who knows the ins and outs of what is behind each click. As Access Communications put it, when an outsider points out that the service isn't working well for your company it is just, "a polite way of saying you're not doing AdWords very well." As described on page 11 in our eBook, the majority of users are spending more money than they should on each click. In fact, if marketers really inspected it, they would have to admit that a good chunk of their advertising budget is wasted here. An example of how this works: Industry professionals have a better understanding of keywords. Plus they have the budget for paid tools that research keywords more effectively than your free tools would. The better the keywords, the higher your "Quality Score" is in Google's eyes. In the end, this allows you to pay less for each click, rewarding you cost-effectiveness for being wise! Does the person managing your ads know the difference between CPM, CPC, CPA or Impressions, Views, and Hits? Knowing what these mean allows you to make the most out of this tool. Similarly, without strategizing where/when/how to target specific audiences with your campaign, you put your ads in the wrong places, at the wrong time. This wastes your investment as people click on your ad thinking it will lead them to their search's answer, you pay for their click, and then they quickly bounce off your site, realizing it is not their destination. A quality partner would have access to tools that would allow them to research and track where your target audiences are and how you can reach them. This will increase your conversion rates, heighten your Quality Score, and optimize your investment. This tool needs to be monitored closely as it has constantly evolving best practices and improved functionalities. A good partner is reading blogs and forums as well as attending networking events to fully comprehend the updates. There are also times when it can go a-wire, like with click fraud - a common occurrence that can endanger your site. The only way to avoid this is to assess your site carefully and frequently. At ArcStone we provide a free audit to see how you're doing and offer some suggestions. *A bonus for nonprofits? Since we are up-to-date from our own Google partnership at ArcStone, we've been able to point out Google Ad Grants for many nonprofits. If you qualify you can receive $10,000 per month in free ads. Read more in our blog, "Google Ad Grants for Nonprofits." And how do you find a partner? This is why we want to point you towards a Google Partner and the best way to pair up with one. An article by the Huffington Post agrees with us - 8 Reasons Your Business Should Hire a Pay-Per-Click Professional - and details more features of which to be aware. Google provides a source to help you find the right match - Finding a certified professional to manage your account - which allows you to search by budget, location, and industry of expertise. With this, you could find a match who has had success in your field and will maximize your budget. Lastly, an excerpt from Google highlights why they recommend hiring a partner and guides you through how to best manage this relationship once you find one - Advertiser guide: working with third parties. For more insider's tips on all of this and the nuances behind each click, read our eBook! It answers 6 of the major questions on this topic you may be asking yourself now. In our blog you can read more on "AdWords Enhanced Campaigns" as well as this past year's updates with "Step Inside AdWords." For a basic step-by-step guide, read "Setting Up an AdWords Account | Back to the Basics"
Call ArcStone to hear more about how we could manage your campaign.